To begin with, there is a reason why people go from all the other custom tunes to our custom tuning and they never go from ours to anyone else. 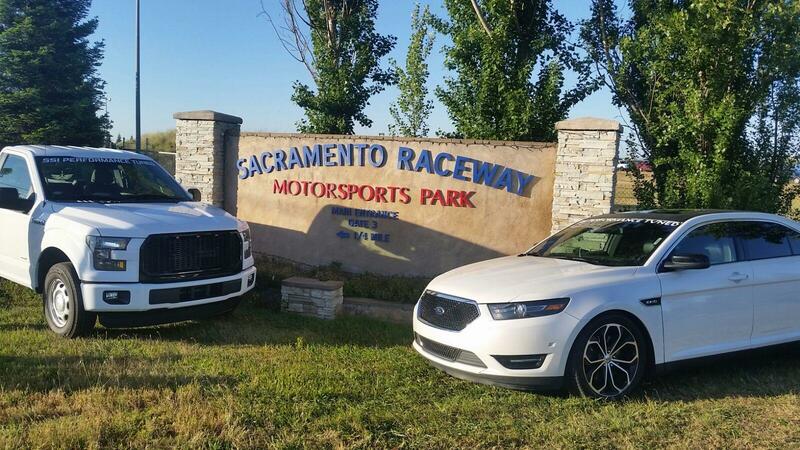 We are in a league of our own in tuning any Ecoboost. Our first priority is and always has been the health and safety of the vehicle while providing the customer with tuning excellence and second to none performance. 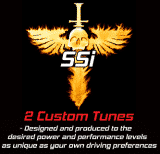 The result is No Lag Turbo tuning only offered by SSi. Furthermore, Superior driving characteristics throughout the entire power band, on idle, part throttle, to wide open pedal is what we aim to deliver every time. Also, The power is always there at every throttle position. These tunes aren’t 1 gear run WOT dyno queens. These tunes are ran and tested where it counts – They are road load data logged, tested, and the result is the fastest track times from real life tuning. Years of our tuning experience, with more tuning platforms and software platforms is the benefit and reward given to the customers. In addition, we have so much more control over the drive by wire technology, turbos for all the Ecoboost platforms, and the entire tuning platform as a whole and more so than anyone else which is what allows us to have many different performance versions of tunes. SSi1, SSi2, SSi3, SSi4, Tow, and Snow and sand. These are built around our no lag, turbo tuning with different levels of throttle input. Finally, Our tunes are extremely powerful, smooth, linear, with an emphasis of the best shifting characteristics you can get. The added MPGs are just a bonus! The fastest track vehicles employ the same shifting strategies we use as in all our tunes. It doesn’t have to slam or smash into gear to be fast. In fact those kinds of attributes will only substantially reduce the longevity of your vehicle. Our tunes get better fuel economy (mpgs) over stock (on average from 1-4). We put excitement into every vehicle we touch and we do not settle for being “good enough”. At any and every single opportunity when we see something favorable through testing data and then customer verification’s, no matter how big or how small it is, we implement it. This is what separates us from the rest of the pack. When it comes to EcoBoost tuning platform there isnt anyone remotely close to our tunes, in terms of drivability, power, and fuel economy. This isn’t just a statement, This Is Fact! Are you running a s0-s0 tune? Are you running a one-size-fits-all tune from our biggest competitors? Ask yourself why. Then give us a call. At anytime anyone has any questions pertaining to their vehicle and what we could do for you regarding custom tuning, we are only a call away. We will give you the most direct, honest, and complete answers you can get. We also give you the best direction in terms of performance gains vs dollars spent on any single product. Call us if you have an existing tune and wonder what we are all about. A phone call doesn’t cost anything, however it can save you a bundle. Our experience has you covered for Corvette, Challenger, Camaro, SRT, RT, Jeep, Silverado, car or truck, N/A or Forced induction. We support and deliver excellence with automotive tuning software companies such as SCT, DiabloSport, HP Tuners, and EFI live for Ford, GM, Chrysler, Dodge, Jeep, and other OEM manufacturers. Additionally, we support FAST XFI, Accel DFI, Big Stuff, Edelbrock, Holley, and other stand alone engine management systems. Custom tuning from anyone isn’t all the same, Very far from it. Thus, there is no substitute for EXPERIENCE. When it comes to custom tuning, you don’t want to trust your vehicle or investment to just anyone. 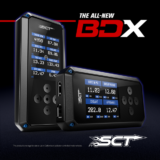 Our many years of proven dyno tuning, street tuning, and track experience is here for your benefit. There are no substitutes for the knowledge, testing, and situational experiences that come from almost 20 years in high performance fuel injection performance. We have tuned everywhere in the US and around the globe. Our custom tuning supplies our customers with the best, maximized safe programming for your vehicle. All of our custom tunes address off throttle, part throttle, wide open throttle, and power under the whole curve. This is complete comprehensive professional tuning. Lastly, as you all know, most tuners address only an aspect or two. Thus, all of our customers are extremely satisfied with SSi tunes for this reason. It is a complete professional tune. We overlook nothing here. We deliver excellence as that is the only way we know. We have developed the worlds best F150 EcoBoost tunes on the planet. We are dominating the competitors with the only no turbo lag, smoothest, most powerful tunes you can get for the F150 EcoBoost. All the while, we are gaining an average of 2-3 mpg. Our custom tuning for the naturally aspirated 5.0, 6.2, 5.4 is also a world apart from any competitors. What can our customers expect? A snappy, progressive and smooth power band from idle to max rpm with no dead or flat spots. We achieved this with relentless testing, data, and customer feedback from every part of the country and worldwide. A company test truck spending needless time on the dyno, is not enough.